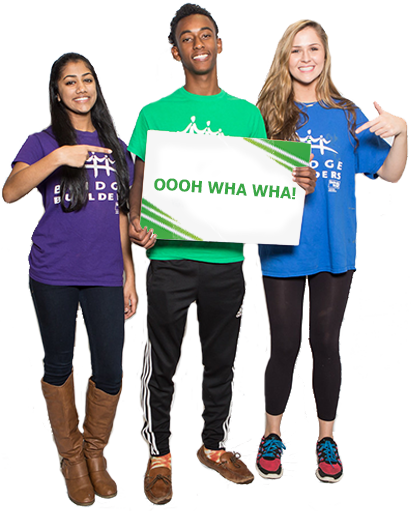 Bridge Builders is one program with three levels of engagement, beginning with with our dynamic CONNECT workshops and events. These flexible experiential learning modules are expertly designed and facilitated to support schools and youth organizations in their development of middle and high school aged youth. CONNECT workshops can be scheduled in 2- to 4-hour sessions for up to 100 students. Groups can come to the Jim Boyd BRIDGES Center, or our team can come to you. For more information, please contact Tonya Reece, Bridge Builders CONNECT Coordinator, at treece@bridgesusa.org or 901-260-3774.